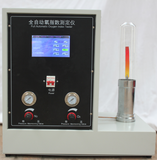 Microcomputer-controlled pipe ring stiffness tester adopts mechanical loading, electronic measurement, digital continuous speed regulation, and real-time control with microcontroller. Ring stiffness tester is widely used to measure the stiffness of thermoplastic pipes and fiberglass reinforced plastic pipes with circular cross-section, meeting the requirements of PE double-arm bellows, winding pipes and various pipe standards. 2. 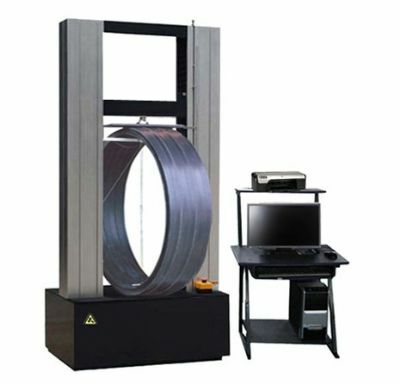 Software system: The pipe ring stiffness tester is operated by man-machine conversation under Windows Chinese English French Russian (for export) platform, which is easy to operate and has accurate data. Open software can produce different experimental reports and parameters according to the individual requirements of customers. 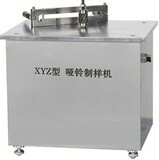 2 effective compression space: 0--1000mm 0--1500mm 0--2000mm 0-3500mm. 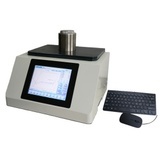 9 speed accuracy: > 2mm/min accuracy: + 0.5% < 2mm/min accuracy: + 0.5%.